I've read a number of the Usborne surveys, and they're all rewarding. I plowed through this one in two days. Its gorgeous illustration and simplified format were so easy, yet informative enough (in a survey kind of way) to feel useful and inspiring. It was, for me, a springboard to other areas of art-history learning. Thoroughly enjoyable, even though written for a much younger audience. The pictured works of art know no audience limited by age.Of course these books are also entirely appropriate (and perhaps much more appropriate) for the young who take an interest in these topics. For any 4th to 6th grader with a passion for art and art history, this book would be perfect. Highly recommended as a survey of information and a point of taking-off to further learning. This book is an excellent review of art and art history. 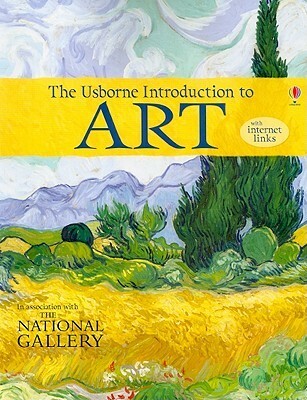 The introduction explains why artists create and different ways of interpreting art. This could be used as a great resource for teachers. The book goes through every major art movement in history, dedicating just a page or two to each, yet it contains interesting tidbits like Monet getting sand in his paint at the beach.